We already talked about Serverless Computing. Here is serverless computing test drive step by step guide for complete newbies with IBM OpenWhisk RSS package and IBM Bluemix free trial. It is really a funny new thing to play. We written the command line part for MacOS X users as IBM actually has no OS specific guide for the OpenWhisk RSS Package. Commonly on MacOS X we use iTerm2, Homebrew and ZSH. You need to have an IBM Bluemix account. 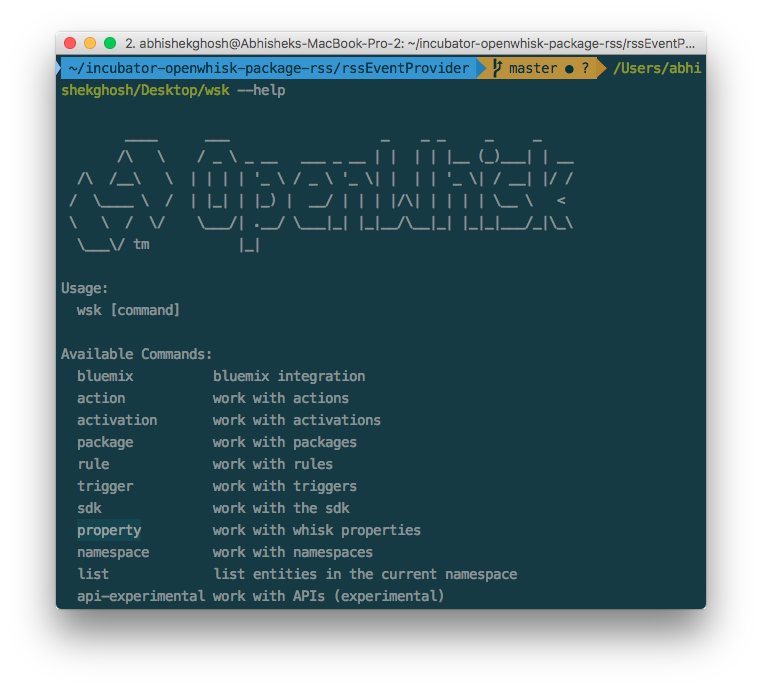 In your Bluemix control panel search with OpenWhisk. You’ll get the thing. Click it and download OpenWhisk CLI. I have slightly changed modified the method of usage of that OpenWhisk CLI iTerm2, Homebrew and ZSH combination. as command from iTerm2 instead of wsk. Everything is like our regular PaaS like Heroku, RedHat OpenShift, Cloud Foundry. Those few points are not exactly easily written but otherwise the examples are enough. Practice with it. This Article Has Been Shared 5990 Times! Cite this article as: Abhishek Ghosh, "Serverless Computing Test Drive : IBM OpenWhisk RSS Package," in The Customize Windows, July 2, 2017, April 21, 2019, https://thecustomizewindows.com/2017/07/serverless-computing-test-drive-ibm-openwhisk-rss-package/.